Kate Milford lives in Brooklyn, New York. She has written for stage and screen, and is a regular travel columnist at Nags Peake Online. The Boneshaker is her first book. To find out more, visit Kate Milford’s website. Click here for more books by Kate Milford. 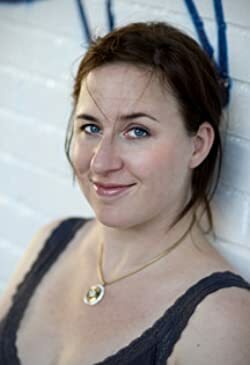 Kate Milford’s recent novel The Broken Lands is set in the same universe as her earlier The Boneshaker, though it involves different characters and takes place some years earlier. The Boneshaker made it onto my top ten list for 2010, and The Broken Lands appears set to repeat that feat for 2012 (read my reviews). Recently, Kate took some valuable time out of her schedule to answer some questions for us. I hope you'll enjoy learning more about Kate's wonderful stories. Leave a comment for a chance to receive a copy of The Boneshaker, The Broken Lands, and their companion novella The Kairos Mechanism. Fans of Ray Bradbury’s Something Wicked This Way Comes will find lots of echoes in Kate Milford’s debut novel The Boneshaker. It’s a connection that is impossible to avoid, what with the small-town young protagonist facing off against a mysterious carnival filled with creepy workers and an even creepier head showman. But this is no rip-off of Bradbury; nor is it simply a pleasant homage. 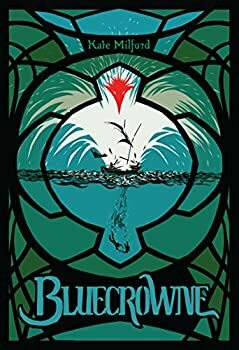 From the same basic plot trappings Milford has woven her own highly original and enjoyable tale, one that builds slowly and patiently into a wonderfully compelling and satisfying conclusion. Kate Milford’s The Boneshaker was one of my favorite books when it came out, and at the end of my review I said it was clear there were more stories to tell in Arcane (the novel’s setting) and “I for one would love to see them.” Now Milford is back with a follow-up novel, The Broken Lands, and though it is set in a different place at a different time (though sharing some characters), it still has that great Boneshaker feel — and yep, I loved reading it. 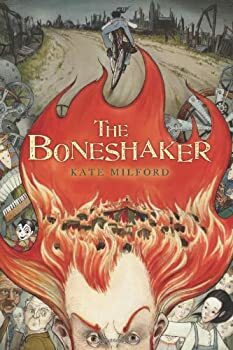 In 2010, I put Kate Milford’s The Boneshaker on my list of favorite books of the year. In 2012, I put her The Broken Lands on my list of favorite books of the year. Well, another two years have passed, Milford is out with another story, and, well, you know the rest . . .